Maybe you’ve lived in the UK a while and are looking to buy after spending a few years renting. Perhaps you’ve decided that this is the country in which you’d really like to put down roots. Or maybe you’re just upping sticks and getting on the British property ladder straight away. 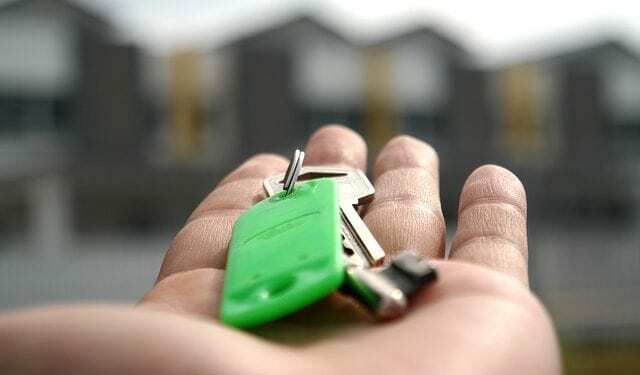 Whatever your circumstances, one thing we can all agree on is that wherever you are in the world – or whichever side of the hemisphere you find yourself on – buying a house is usually a stressful, time-consuming process. Why? Because buying a house in a country that’s not your own can feel like it’s ten times more complicated than it needs to be. There are legal fees to pay, removals companies to arrange and a whole new set of rules and regulations to wrap your head around. But it doesn’t have to be all hardship if you got the specialists giving you the insider tips. See below some important steps you need to take if you want to take the stress out of buying a house in the UK. Necessary preamble: If you own a property already and need to free up the cash for your big move to the UK, then the first step is actually sell your house. Alternatively, if you were or are renting, then continue to do so while looking for a new house, but be aware of the notice you need to provide and the potential charges you might incur for dipping out on a lease agreement early. Anyway, now we’ve got that out of the way, it goes without saying (except we definitely are saying it) that you need to first find a house you’re interested in. Much like in Australia, the best way to do this is to go through letting agencies that will help match you up with properties that fit your interests. You usually have to pay a fee but are well worth it as the houses and flats listed on sites like gumtree and spareroom normally are clickbait and are no longer on the market. We recommend using online websites like Zoopla which allow you to filter and search through properties in your price range. In the house hunting phase, there’s one massive difference between you Aussies and us Brits you must keep in mind though: while we love central heating and good windows, you tend to look for air-con and outdoor decking. Not surprising when you compare the two climates, but you should also remember that typical houses in the UK tend to be smaller than Aussie properties and are not always detached! Oh, and remember to look for south-facing not north-facing gardens to secure little shade with lots of sunshine. As well as finding the right home, you’ll need to find the cash to pay for it too. If you’re a UK resident, finding funding for a house is relatively straightforward, especially with the new stamp duty exemptions that have been introduced. However, as a non-resident, there are far more hoops through which you have to jump. First of all, we recommend arranging a mortgage through a UK (not an Australian) bank, such as Barclays. The experts there can help talk you through the process and let you know how much you can realistically expect to borrow. However, you will have to provide a substantial deposit first. For residents, the deposit required is typically 10% of the house price, but that figure can rise to 40% for non-residents. So, say you’re looking to buy a house worth £200,000. For residents, the deposit would be £20,000 but for non-residents it could be as high as £80,000. Alternatively, if you’re in a position to do so, it’s always better for non-residents trying to buy residential property in the UK to do so in cash. That’s not entirely realistic for most people though. Then, you need to consider just how you’re going to buy your house. This blog post takes you through three options for owning residential property in greater detail, exploring the pros and cons of each. Either way, you must have an idea of the financing options and amounts available to you before you start looking for houses. As well as the mortgage to pay for the property in and of itself, you’ll also need to take into account the other costs associated with buying in the UK. This includes stamp duty, legal fees, other lender fees and broker fees, amongst other things. Plus, once you’ve had an offer accepted, you’re required to conduct a survey on the property which typically costs a few hundred pounds. If you’re confused by all this, don’t be. Your solicitor will be able to handle it all for you. Why do you need a solicitor to buy a house in the UK? Click here for more in-depth info on that. Once you’ve got the paperwork signed, sealed, delivered, you’ll want to think about the actual moving day. If you’re already in the UK, you’ll need to arrange shipping to get your belongings to your new property in one piece. Therefore, we recommend you check out removals companies, using a comparison site like buzzmove. In minutes, you can have an accurate quote for the shipping of your belongings. With buzzmove you’ll be able to move to your new home with the knowledge that your things will be ready and waiting for you at your new home. Ready to make the move? We hope so. However, before you do, make sure to read up on the other steps you’ll need to take to move to the UK from Australia first!